Tutoring Club St. Johns - At Tutoring Club St. Johns, we offer individualized instruction for math, basic to algebra, SAT and ACT test preparation, reading, writing, study skills, and more . At Tutoring Club St. Johns, we offer individualized instruction for math, basic to algebra, SAT and ACT test preparation, reading, writing, study skills, and more . 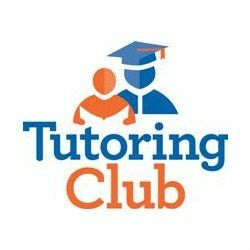 Here at Tutoring Club St. Johns, we are dedicated to providing the most effective programs available to help your child succeed and offer individualized instruction with tutors in our exclusive TutorAid programs for math, reading, writing, SAT and ACT preparation, study skills, and more. We provide tutoring services for students of all academic levels, kindergarten through 12th grade. Ask about our Tutoring Club guarantee! We do more than just raise grades and improve test scores. We help students boost confidence and self-esteem, open doors that were previously closed and change their lives . West Melbourne, Melbourne, Viera, Susntree and all of Brevard County Florida Tutoring Services, SAT and ACT Learning Center and Test Preparation.